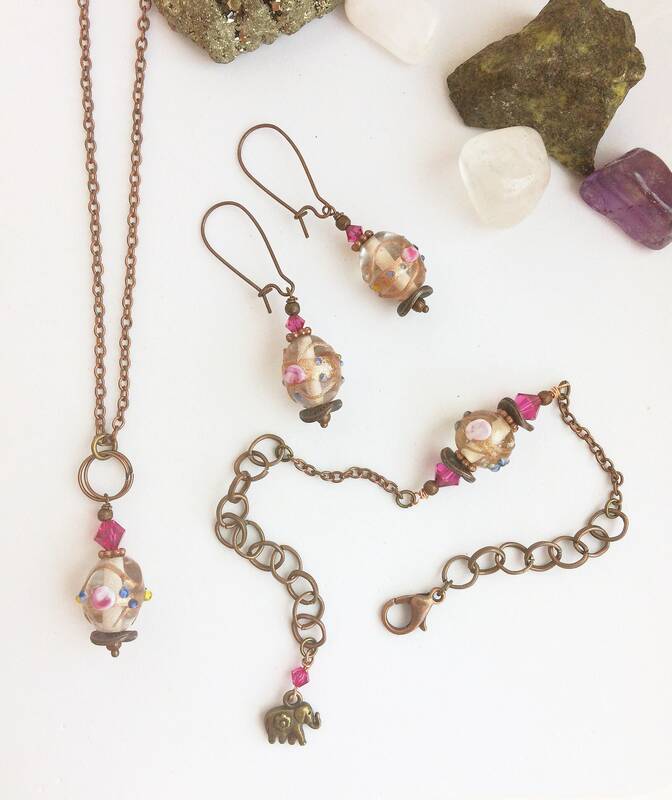 A unique copper jewellery set with matching bracelet, earrings and necklace. 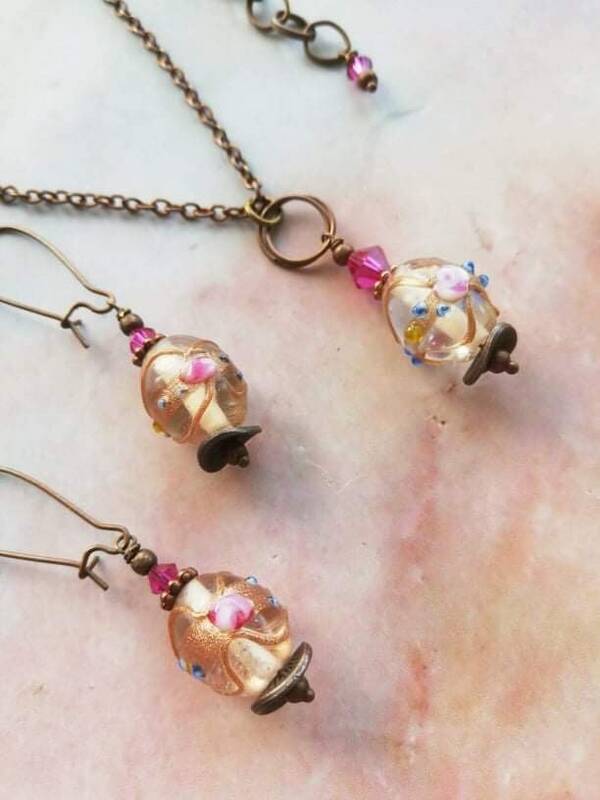 These have copper chain and lampwork glass focal beads with glitter gold and floral patterns. 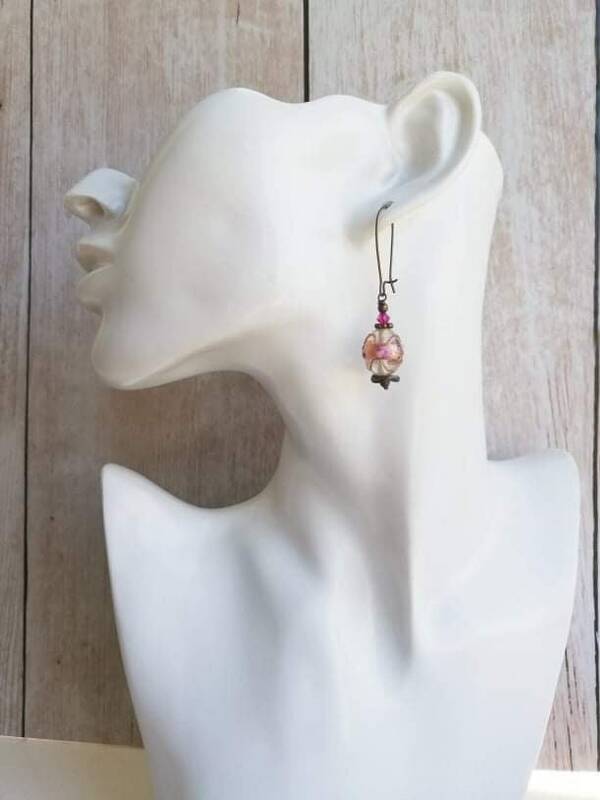 The beads are matched with fuchsia Swarovski crystals and have complimentary mixed metal fixings in copper and rose gold. They are available individually or together - just select from the drop down menu. Each lampwork bead measures 13mm long and 11mm wide. 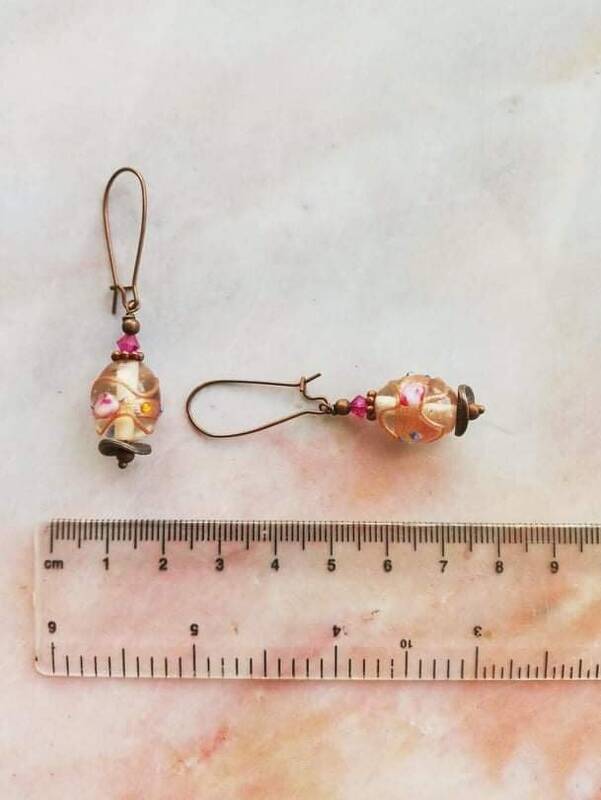 The earrings also include copper metal beads and a 4mm fuchsia crystal. They have a total drop length of 2.9cm. 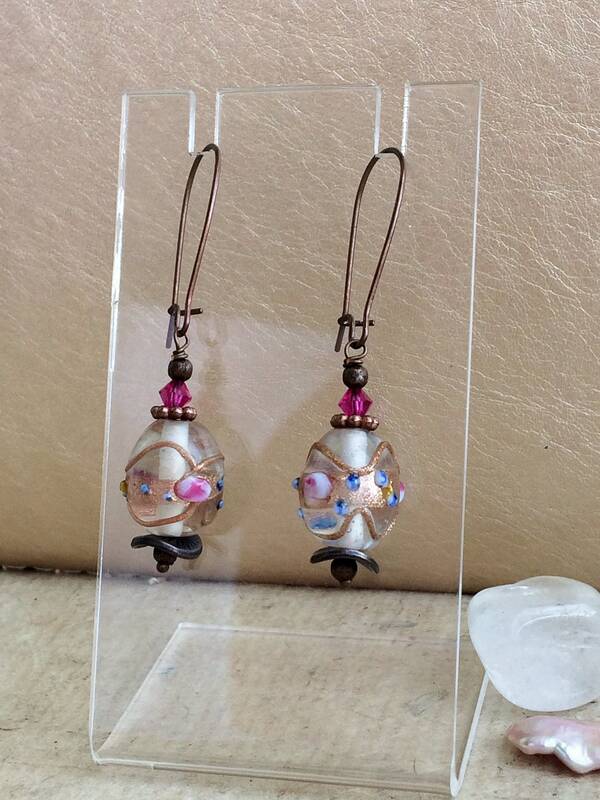 The kidney style ear wire measures 2.4cm. The bracelet incorporates two sizes of link chain (3mm and 7mm links). This means the fit is adjustable from 15cm to 22cm. It fastens with a copper coloured lobster clasp. The chain also has a antique gold coloured elephant charm. 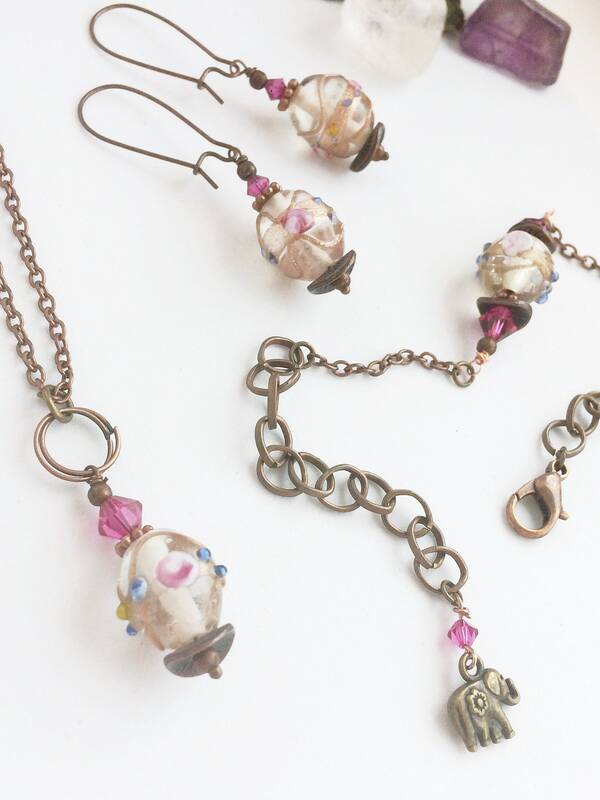 The focal lampwork bead is 1cm with metal beads and glass crystals to match the other pieces in the set. 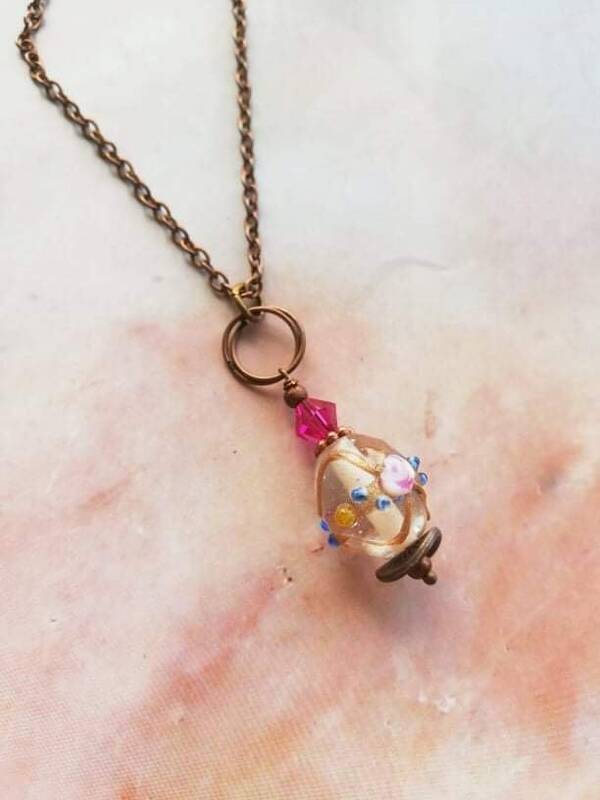 The necklace has one focal lampwork bead of 1.5cm long with the same crystals and metal beads. The body of the necklaces comprises 3mm link chain. It has a larger extender chain, mirroring the bracelet, meaning the length of the necklace is adjustable between 40 and 46cm. 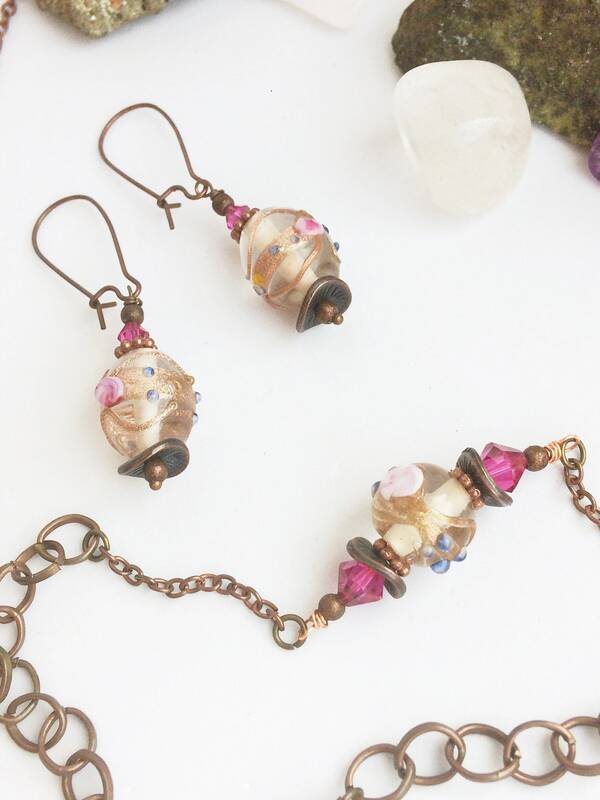 I love the colour combination of the rich copper with the vivid pink crystals. 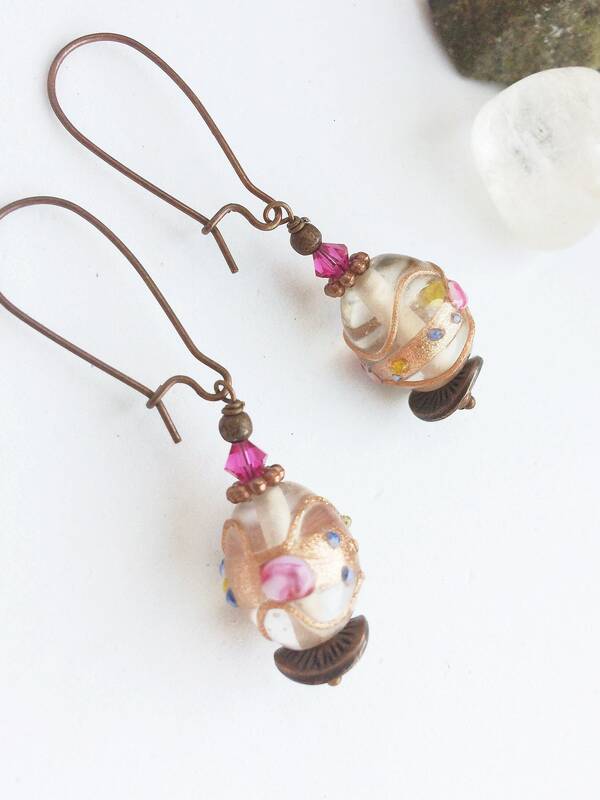 Both the gold and pink colours are picked out from the artisan glass beads which have a decorative three dimensional floral design. 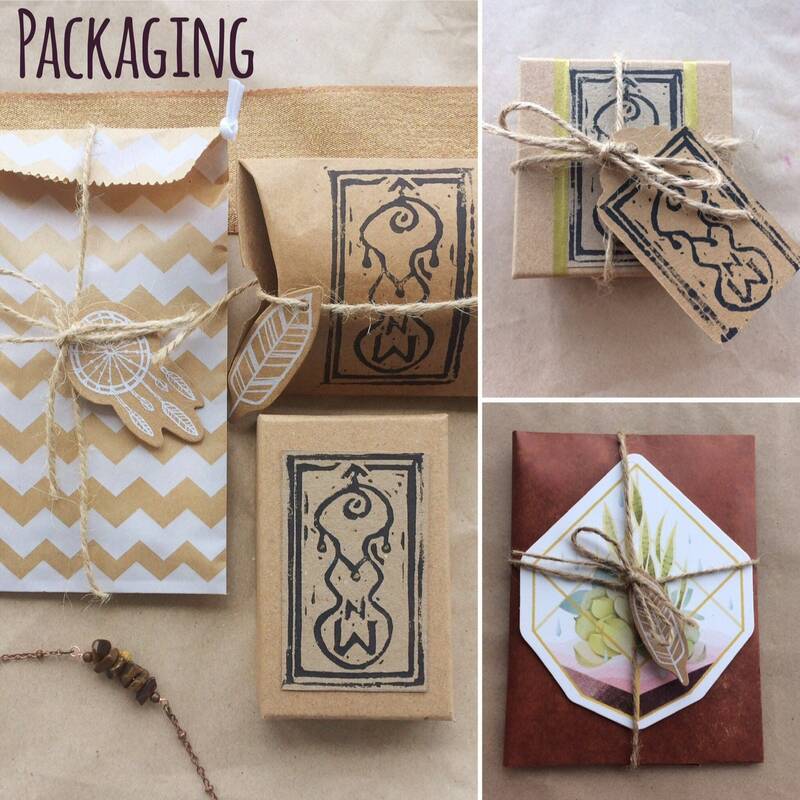 Purchases come packaged in hand-finished lino printed boxes with gift wrapping also available should you want to purchase a special gift. I'm more than happy to include gift messages or customised features so please get in touch.